Top 15 Movies of 2014: Who Is Number One? Movie Fanatic has seen all the films there are to see in 2014 and it’s time to announce our 15 best flicks. Will your favorite make the list? We’re sure one will, one that is the highest grossing movie of the year that charmed absolutely everyone -- watch Guardians of the Galaxy online and be charmed once again! Our top 15 is a varied list featuring biopics, Oscar-worthy flicks, sci-fi spectacles (watch Edge of Tomorrow online) and cinematic game-changers. It also finds a highly anticipated book adaptation (or two, like the one with those riveting Gone Girl quotes!). 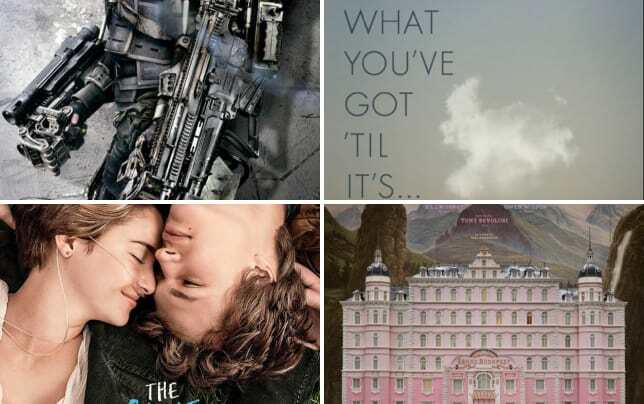 It’s been a great year for movies in 2014 and it’s hard to believe that 2015 could be any better (wink wink, we think it will be the best movie year ever!). Click through and discover the Movie Fanatic top 15 movies of 2014!